The mix titles are incorrectly swapped around on the record. The tracklist above is correct. 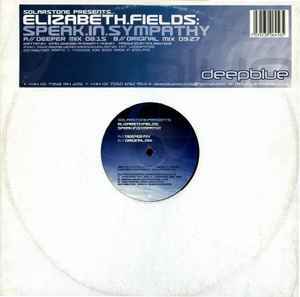 The vocals definately make this track complete - Elizabeth Fields' voice is simply fantastic. Everybody who likes this track, should definately check out the "bootleg" 2 Players vs. Elizabeth Fields - Signet Sympathy on the Lost Language Exhibition EP. It's not really a bootleg, as the acapella from 'Speak In Sympathy' is legal - but definately worth checking out if you haven't heard it. Her voice blends with the track 'Signet' in a chilled, beautiful way. Yet another great offering from Solar Stone, but what sets this one apart is the fantastic vocal provided by Elizabeth Fields. She has a voice like no other - pure, yet expressive with a haunting quality, and the lyrics have more depth and meaning than you usually find in this genre of music. Very poetic.